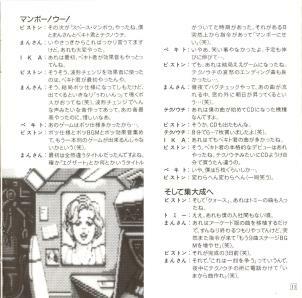 This is the translation page for the Snatcher SCC Memorial Joint Disk liner notes, which was done by Takamichi Suzukawa. Piston Uehara: Hello everyone, thank you for gathering today. 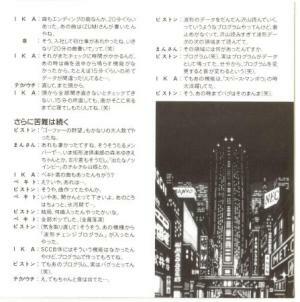 This occasion, to commemorate the release of "SCC Memorial", I'd like all of you, who participated the MSX sounds so far, to speak the memories of SCC and other things. Now everyone, please introduce yourself one by one. Zenji Pekito: Hello, I'm Zenji Pekito. I was in charge of "Space Manbow" and "SD Snatcher" and so on. 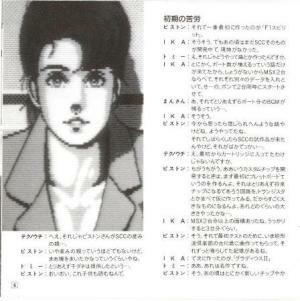 Gorgeous Tommy: Hi, I'm Gorgeous Tommy who was in charge of "Quarth" and "SD Snatcher". Technouchi: Nice to meet ya. I'm Technouchi. What I did included "GekiPena 2", "Space Manbow" and "Quarth". Mansan: Hi, I'm Mansan. What I did included "Elgiza no fuuin", "GekiPena 2", "Space Manbow" and "Quarth". Izumi: Eh, I'm Izumi. I did "Snatcher" and "SD Snatcher". IKA-CHAN: I'm IKA-CHAN. 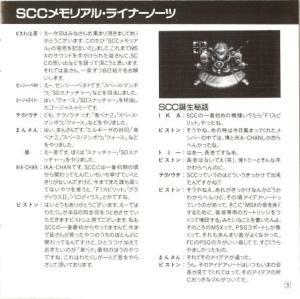 I was involved with SCC from its earliest time, so if I tell everything I did the list would never end, the ones no one mentioned yet are "F1 Spirit", "Gradius II" and "Parodius". Piston: Yeah, thank you very much. Now then, I'm Piston Uehara who humbly does the MC for today. I too have been with SCC from its first beginning, so I was involved with almost everything you mentioned so far, but the one thing I want to add is the first version of "GekiPena". I alone did the sounds in that one. IKA: The earliest SCC product was "F1 Spirit" wasn't it. Piston: Yes it was. Back then, me and IKA-CHAN were the only ones there among the members who gathered today. Tommy: Whoah, you're the wise old man. Piston: Stop calling me old man (laughter). My age doesn't much differ from Tommy's. Technouchi: How was the chance that gave birth to SCC? 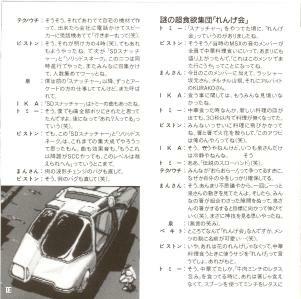 Piston: Well, I'm not sure if that could be called a chance, but at that time there was a stuff called Idea Note, and I wrote in there, "to improve the MSX sound, make a sound only cartridge and add it". The MSX at that time had only three PSG ports whose sound wasn't very good. The FC PSG had better sound, and I really envied it. Mansan: And that idea was accepted. Piston: Yes. The man who is now our senior president saw that Idea Note, and later I saw was a big circle drawn around that idea. Piston: No, not as much as I gave birth to it, but perhaps I seeded it. Tommy: Whatever, you inseminated it. Piston: Watch your words, the children will read this article. Piston: And the first thing created was "F1 Spirit". IKA: Yeah, yeah. But at that time the SCC itself was under development and there was no real stuff. Tommy: Hey, how did you make the tunes? IKA: Whatever, we were only informed of the port quantity increase, and we had no other way but to place two MSXes side by side, put different data in each, and saying Ready! Go! we started two machines simultaneously. Piston: To think of it now this story is impossible to believe. I wonder how we've put up with it. Technouchi: Hey, wasn't it in the cartridge from the beginning? IKA: Its area was worth two MSXes or bigger. It might had been as big as three MSXes. Piston: Yeah. And, I remember that, initially as the test, we asked Furukawa, who is now a Kukeiha Club member, to compose a tune, and we were playing it all the time. IKA: And the next one we made was "Gradius II". Tommy: Ah, that was the masterpiece. Piston: Yeah. At that time it really was the new chip so everyone gathered around it and did trials and errors, and selected the good ones out of what we did and incorporated them, that was how things went. Entire MSX team was working on it. 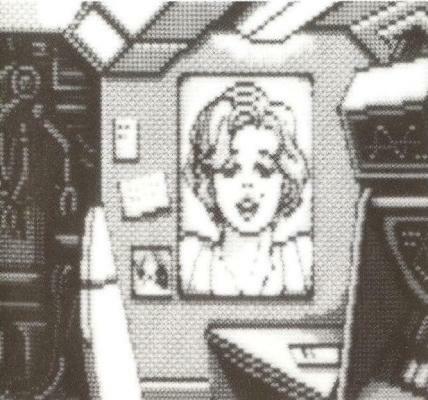 IKA: Yes, the entire team was on "Gradius II" and the next one, "Parodius". I did the tunes, Piston did the sound effects and programs. Piston: To think of that, Moai Sasaki was still one of us at that time. Mansan: Phew. What was Mr Moai doing then? Piston: Then the next was "Salamander" then "GekiPena". Technouchi: Yes, that was really well made. The "Strike!" voice was made using the imitated sounds. Piston: You mean that "Blipbeep!" (laughter). But that one was well made, don't you think so. Mansan: Wait, there was a original it's copied from. IKA: Mansan, what do you mean? Mansan: Ehh, there was a "Konamic Baseball" product for FC, and I heard its noise that was almost identical to "GekiPena". Tommy: Phew, so that was the original. Piston: Err, it was so good so I... (in threatening voice) Mansan, you'll pay for this. IKA: Hey, your way of saying won't relieve him much. Piston: I agree. That's the type of person he is. I don't care. I taught him the programs and sound effects from the beginning, then this. Mansan: (Two liters of cold sweat) Arrrghhh... No, it was not what I meant... Hey Tommy, say something that'll relieve him. Tommy: Oh, it's so a fine weather today. Piston: What are you saying. Piston: Then the next was "Elgiza no fuuin". IKA: That was exactly the time when Mansan joined. Mansan: Yes... I can't forget that. I was told to compose an Egyptian sounding tune because it was a game about expediting inside of a pyramid, and it really agonized me. Technouchi: I know, that Egyptian scale every day. Mansan: Yes. So the Egyptian phrases became habitual to me, I could not play "c-d-e" anymore. I could not help playing "c-d-d+" (laughter). Technouchi: That one had good sound effects too. The Mr Piston's ones! Mansan: Yes yes! Especially the sound when you dug the ground with drill. I was fresh after joining Konami, so I was immensely impressed "whoah, you could make this realistic sound with a MSX". Mr Piston is great after all. Mansan: Come'on... Please forget about that. Piston: Now let's go next, next. (He pushes aside Mansan who clings to him) The next was, now it comes up, that "Snatcher". IKA: To add, at that time we were concurrently doing "Gopher no yabou" and, though it wasn't about SCC, "F1 Spirit 3D Special". Mansan: In addition, Mr Moai got ill and went back to Easter Island for rest (laughter). Tommy: Argh, the mishaps one after another. 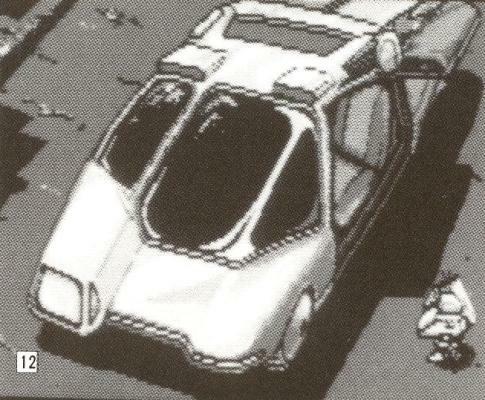 Piston: The quantity of both the music and sound effect for "Snatcher" were quantum leap compared the others. The number of people who intervened was enormous. The jobs were microdivided, there was someone whose only job was to check whether the tunes were sounding properly. IKA: Of the tunes, the ending tune was as long as about 20 minutes. Mr IZUMI composed that tune, didn't you. Technouchi: You amended it and started from the beginning. Piston: We did "Gopher no yabou" by pretty huge labor force. Mansan: That was terrific as well. The members were so glittering.... Morimoto Yukie chan who now belongs to Kukeiha Club, and Furukawa was there as well, and there was Chiruchiru Yamane who did "Detana! 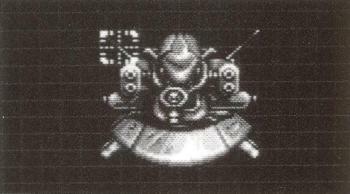 Twinbee". IKA: Wasn't there Pekito's tune as well? Piston: Yes you were making the tunes. Piston: How many tunes of yours happened to be included in the end? Piston: (Recovering his state of mind) Yes, yes, the "waveform change program" was incorporated since that product. IKA: The SCC itself never had such feature, but we made it by programming. Piston: But that program was buggy actually (laughter). Piston: It was a program that reads the waveform by more and more increasing amount, but there was no limiter being set, so it read too much and read the domain located after the waveform data. Mansan: What was in that domain? Piston: The program (laughter). Actually, the program was being played as the data. So, when I changed the program the sound changed along (laughter). IKA: But that feature was fully showing its power at the time of "Space Manbow". Piston: Yeah, the bug persisted until that time (laughter). Piston: The next was, what was that, it was "Gekitotsu Pennant Race 2". Mansan: Yes, I and Technouchi did that. Technouchi made his debut with that, didn't you. Technouchi: Yes I did. 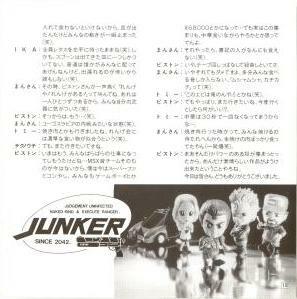 The tune used in the final news screen. I did that when I was a newbie and I was being assigned here temporarily. Mansan: Yes yes, that was the first time when SCC's voice program was used by large scale. IKA: Let me say it was a little bit used in "Gopher". As the final boss's laughter. 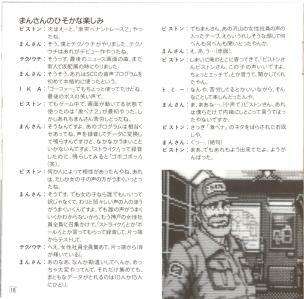 Piston: But it was "GekiPena2" that initially used it during the gameplay and under the condition when the screen was moving. I remember Mansan was deeply troubled with that. Mansan: I was. That program was pretty quirky, it was about recording a voice, converting it and playing it, but I could not manage easily. I recorded "Strike! ", but when I played it what came was "Gobogobo!" (laughter). Piston: It looked like that the voice suitability differed between the people. I remember that a woman's voice fitted better. Mansan: That's right. But it wasn't that all women did well, the rather feeble voiced people faired better. But I could not tell who's voice could do well, so I summoned all of the woman employees in Kobe office, let them say "Strike! ", "Ball!" and such, recorded them, tested every single of them. Technouchi: Phew, you gathered all woman employees and did with every single of them (his eyes are brightened). Mansan: Come'on, aren't you a little misunderstood? It was a terribly tiring task. We gathered so much of them, but only one out of 10 to 15 could generate a shapely data. Piston: But hey Mansan, that tape which included the voices of mass woman employees, you were listening to it again and again with huge pleasantness on your face. Mansan: What. Ah. Uhh... (blushing). Piston: In the end you came near me, "Mr Piston Mr Piston, this girl's voice is good, she sounds a little horny" and made me listen to it, didn't you. Tommy: What the mess, you claim it was a tiring task but in reality you were having fun doing that sort of thing. Mansan: M, maybe... (Whispering) Mr Piston, you told me we'd keep that a secret between us. Piston: This is a retaliation against your previous divulging of the "GekiPena" source. Piston: Well, your work was pretty good. You tried hard. Piston: The next one was "Space Manbow". Me, Mansan, Pekito and Technouchi. Mansan: Well, I keep saying this all the time, that was a hard task too. IKA: For that one, initially Pekito was also in charge of the sound effects. Piston: Yeah yeah. Pekito was the first person who used the waveform change for a sound effect. Mansan: Yes. Though it was finally rejected from the specifications, there was a boss who cried "uwain!" as soon as it appeared (laughter). That strange voice-like sound was made using the waveform change. That sound was so cool, I miss it. Piston: It was as if that if we've put together the rejected specifications, rejected BGMs and rejected sound effects, we could create an another game (laughter). 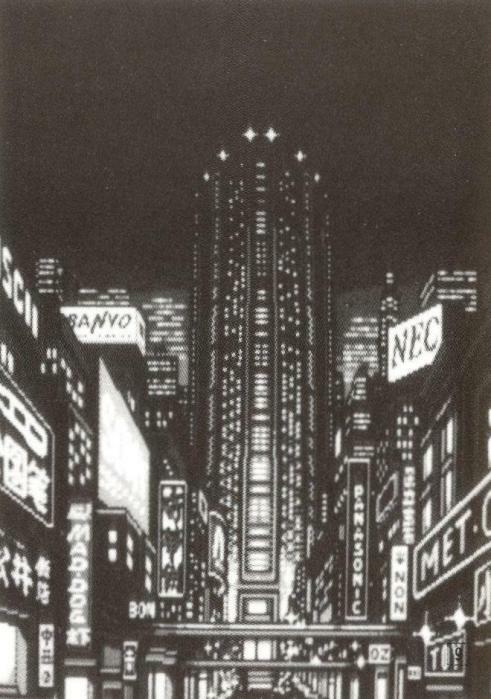 Mansan: In the beginning it had a totally different title, I remember. I'm sure there was one time when it had a totally different title, "Eguzaato" or something. Then suddenly there was one day the superior ordered us "change it to Manboo" (laughter). Mansan: I was checking bugs all night, with that tune being played, the morning sun rose outside the window... (laughter). Technouchi: It was the product where my tune got on the CD for the first time. Piston: Oh. Its CD was released, yes. Technouchi: I bought six or seven discs myself (laughter). Piston: Yeah, Pekito's full time debut started from that one. Haven't you bought a lot of CD yourself like Technouchi did? Piston: You're not any different (everyone laughs). Piston: Then "Quarth". It included Tommy's tunes. Tommy: Yes it did. That was not much later after I've joined this company. Mansan: I was going to smoothly finish it by solely implanting the arcade version tunes, but then again suddenly an order arrived, that was to "increase nine more stage BGMs" (laughter). Piston: And it was three days before the completion (laughter). Mansan: So, we thought, "it was a race against my time", so I rang up Technouchi in middle of the night and said, "compose right now" (laughter). Technouchi: Yeah, yeah. So I hurriedly made one using the tools in my house, and when I've made one up, I range the company, pushed my phone receiver against the speaker, and, "it's going, get it!". (Laughter). Piston: Yes, and it was four o'clock in the morning (laughter). Again, I wonder how we put up with that. 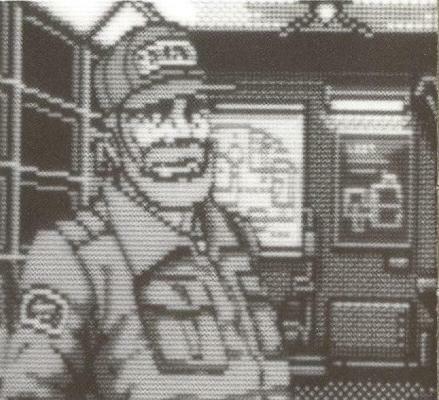 And the next came "SD Snatcher" and "Solid Snake". We ran those two projects concurrently. Again we summoned everyone, gathered the labor force and then go. Izumi: I had been doing the arcade jobs all the time after the previous "Snatcher", but I was called back again. IKA: "SD Snatcher" included Tommy's tunes, didn't it? Tommy: Yes. I myself used to think all my tunes were rejected. "What? they're included", I found them later (laughter). Piston: Well, I thought I'd be going to make "SD Snatcher" and "Solid Snake" the culmination of what had been done so far. Both the tunes and sound effects, to the point "regardless who would try the SCC afterward, they would never exceed our level". Mansan: By fixing that waveform change bug as well. Piston: Yes, I fixed that bug (laughter). 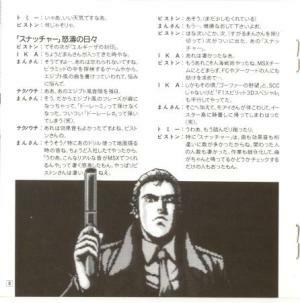 Mysterious Super Appetite Team "Renge Kai"
Tommy: There was a thing called "Renge Kai" when we were working on "Snatcher". Piston: Yeah yeah! All of the MSX sound members at that time went to have Chinese dishes, and we were so excited so we decided, "let's attend again by these members". Mansan: In addition to the members here today, Mr Rusher Sakamoto, Chiruchiru Yamane, and Mr KURAKO the part timer were there. IKA: No one knew hesitation when it came to eating. Tommy: When we were eating Chinese, whenever a new dish was served, 30 seconds later the food was gone. Piston: Everyone jumped on the food. The chopsticks sparkled against other chopsticks, we saying "this abalone is mine!" (laughter). IKA: Yes. It's correct, except for Mr Izumi who was always calm. Tommy: Right, the "slow hand of legend" (laughter). Technouchi: When everyone was wrestling "get out of my way! ", he ununderstandably managed to obtain his potion. Mansan: Yes, it was so ununderstandable, I once concentrated to look at Mr Izumi's moves. Then I noticed, through the gaps between everyone's tangled up chopsticks, Mr Izumi's chopsticks extended straightforward to his target (laughter). I felt like seeing a god's work. Pekito: By the way, why is that "Renge Kai" (Lotus Flower Party)? Its name is so cute compared to its members... (laughter). Piston: No, it's not the lotus flower, but you know the scoop you use when you eat Chinese food is called a "renge", don't you? That's where it's named from. Tommy: Yes. When we were eating a Chinese dish that probably was "grounded meat wrapped in lettuce", we could not eat it with chopsticks, but we had to eat by stuffing the grounded meat into lettuce leaf using a spoon, so after the dish was served, everyone's moves momentarily froze (laughter). IKA: With everyone holding a lettuce leaf in his left hand (laughter). To add, the served dish came with only one spoon. Usually someone caters the food to all the others, but no one did so for the fear of late start (laughter). Mansan: Then, Mr Piston shouted in a high pitch voice, "Renges! We have the renges!". Each person was given one of that stuff, you know. Everyone realized they had their own weapon (laughter). Piston: From that moment on, it was... (laughter). Mansan: Sort of the Yugoslavian inner conflict (laughter). Tommy: We also attended the Korean barbecue. Thick food suited Renge Kai (laughter). Technouchi: I wish we'd attend again. Piston: Now everyone is doing the different jobs however... Because the MSX sound team itself does not exist anymore. I'm now doing the Super Famicom, and you moved to Gameboy, X68000 and others... but really, I want to hold this meeting while eating Chinese. Mansan: If we do that, the scribe won't be able to eat anything (laughter). Piston: No, we'll record the voices by running the tape all the time. Mansan: No, it won't work either. I'm sure it'll only record everyone's eating voices. "Munch munch, ting ting" (laughter). Tommy: And like, "This prawn is mine!" (laughter). Piston: But I still want to attend again. What'll you prefer if we happen to attend again? Tommy: If we choose Chinese food, one dish'll disappear within 30 seconds, so I'll reject that. Mansan: When we went to the Korean barbecue, everyone couldn't wait until the meat was roasted, so we were eating only the semi raw meat, weren't we (everyone laughs aloud). Piston: Well such a powerful guys have gathered, that's why many of the works of such a fine quality were produced, I think. Thank you everyone for today. Zenji Pekito A pun with Zenji Peking, a Japanese magician who claims he's a Chinese from Peking. GekiPena Short for "Gekitotsu Pennant Race". Elgiza no fuuin A MSX game about Egyptian shrines. Called "Elgiza Secret" by non-Japanese MSX users. FC Short for famicom (NES). Gopher no yabou One of the Gradius sequels for MSX. 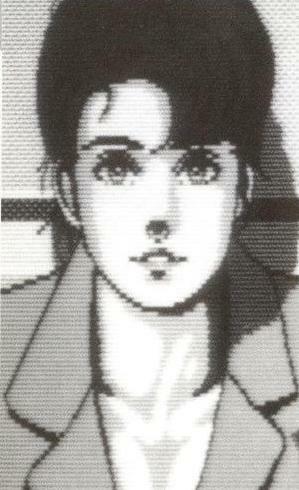 Called "Gopher Ambition" by non-Japanese MSX users. Moai Sasaki A Konami composer. 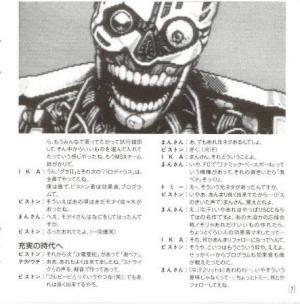 This article gives the impression he quitted Konami, but actually he still is part of Konami at the point of 2004. Detana! Twinbee One of the Twinbee series released for arcade in 1992. Gekitotsu Pennant Race MSX baseball game series. Renge Kai "Kai" means an association. ting ting The sound that the chopsticks make when clattering against each other.